Where: Tooths lookout carpark, Bundanoon. Distance wise this walk is tiny at only around 2.5km return. However with the steep descent of approximately 322m it is quite a challenge. The views of the gorge are fantastic and you can hear the creek flowing below as you make your way down. It’s not for the faint hearted as the steep slop takes it out of you. On the way up is even harder. Directions to Bundanoon Creek Trail. Google Links Map. Follow the Bundanoon Loop Rd until you hit the Tooths lookout carpark. Park your car and start the bushwalk. Check out Tooths lookout then walk down Tooths walking track. This will turn into the Bundanoon Creek Trail. 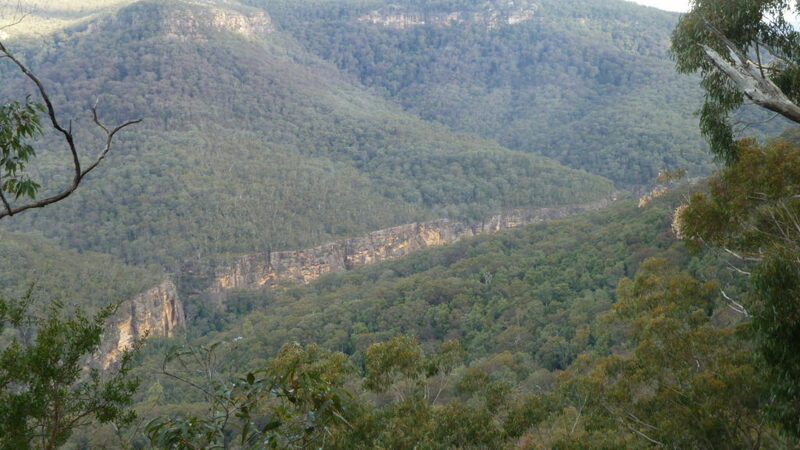 Bundanoon Creek Trail Photo Gallery. Bundanoon Creek Trail youtube clip. Bundanoon Creek track, trail, bushwalk, bush walk, trek, hike, hiking, Tooths lookout, bundanoon bushwalks, southern highland bushwalks.